Results from the second running of the semi-ish annual Broadway Beer Mile, August 2, 2011. 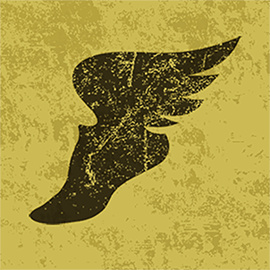 Before she’d even sobered up from the inaugural event, Broadway’s Beer-Miler-in-Chief, Andrea Malo, began planning the follow-up to last fall’s wildly successful Broadway Beer Mile. The date was delayed because of injuries to key participants, namely Andrea herself, who tore her plantar fascia running the Boston Marathon in April. With Andrea healthy again and with the beloved lanterne rouge of the first Beer Mile, Carolyn Reardon, set to depart Vancouver for medical school at Dalhousie later this week, August 2 — a Tuesday night — seemed like as good a night as any for the sequel. Conditions were ideal at the unnamed Vancouver high school track and the track itself seemed to be in much better shape than I’ve seen it in a while. Translation: someone must have mowed lanes one and two on the bend furthest from the school and the lack of rain lately meant there were no puddles, small lakes or waterfowl to dodge. This year’s event attracted plenty of fans, photographers, and race officials in addition to the eighteen competitors who toed the line. 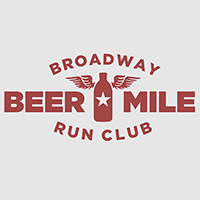 Returning to run were six of the original seven Broadway beer milers, including men’s and women’s champions, Matt Kilburn and Evil Lin, while the seventh, Michael Stockdale, cheered from the sidelines, sadly without a giant bag of chips. As before, the event followed slightly modified Kingston Rules as laid out by beermile.com. Always a stickler for following the rules, Andrea laid down the law before the race with the Sol drinkers, informing them that even if stuffing a lime into the bottle did boost the contents closer to the requisite 355ml, Sol is nowhere near the 5% alcohol needed to qualify for an official beer mile. The beer mile itself was a bit of a blur. Officiating last year’s event and seeing the carnage through sober eyes taught me that one must respect the distance and find the right balance between speed and stomach control. For me that meant doing a lot of belching for the first half or so of each lap, settling down in the far turn and then coasting into the transition area to start it all again with less and less room in my stomach. Rules state that a runner who vomits must run a penalty lap and let’s just say it’s a good thing for this guy the race wasn’t ten metres longer. Paps took the blue ribbon and Winnie Lam, who claimed she’d never chugged a beer before, took the women’s title and placed third overall. All six veterans of the inaugural mile improved their times, with Carolyn posting the biggest gain, knocking almost eighteen minutes off last year’s time. Her father will be proud. Thanks to Andrea for organizing and to those who helped out, thanks to Mathew for supplying prizes and congratulations to everyone who ran! Next Next post: Fauja Singh Runs T.O.